Southern Meghalaya in far northeastern India is one of the wettest places on Earth, crisscrossed by fast-flowing rivers and mountain streams. Here bridges aren’t built – they’re grown, ensuring connectivity in a remote area. Local tribes identified a species of Indian rubber tree with an incredibly strong root system that flourishes in this region. The roots of the ficus elastic grow on huge boulders along the riverbanks, or even in the middle of the rivers. To make the roots grow in the right direction, local tribes use different techniques from simply pulling the roots to tying or twisting them, until over time the roots formed the desired architectural structure. Root bridges, also used in Indonesia, are a great example of how green infrastructure can provide alternative solutions to deliver sustainable connectivity. The normal course in Meghalaya would have been a bridge, but that would have been difficult and expensive in such areas. Unfortunately, this approach is the exception rather than the rule. Green infrastructure today falls short of being a part of urban infrastructure core planning and asset inventory. It lacks provisions for long-term maintenance and management, as is done for other essential services. When I studied architecture and urban planning in Chandigarh, an Indian city designed in 1966 by the famous Swiss-French architect Le Corbusier, I realized that cities are like people. They have interlinked systems with dependencies on nature – land, air, and water. Le Corbusier conceived the city as a human body with all these functions, from head to heart, lungs, intellect, circulatory system, and industries. Chandigarh urban planning thus followed principles of major functions: living (sectors), working (governance, institutions), care of body and spirit (valleys, lakes, parks, green spaces, cultural and educational belts) and circulation (main road arteries). Today, resilience is the new sustainability, and adaptation is the new paradigm in urban development. This demands a balance between green and gray infrastructure in a way that integrates communities, nature, and heritage. The exponential pace of urbanization, along with increased risk from climate change, has increased stress on urban infrastructure. If we want our cities to be truly sustainable and resilient, green infrastructure needs to be the foundation for urban planning. It must become an integral part of zoning, together with environmental, and social impact assessment efforts. Asian cities today must grapple with increasingly frequent natural disasters, exacerbated by climate change. These include both extreme weather events, such as floods and typhoons, and slow onset changes like sea level rise. Many parts of South Asia, including Mumbai, experienced severe flooding during the 2017 monsoon season, resulting in many deaths and catastrophic damage. One of the primary causes of this tragedy is the loss of green cover and blockage of natural drainage systems in cities. Green infrastructure uses natural processes and local vegetation to manage water, land, temperature, and air quality to create healthier and resilient urban environments. How a city manages this burden, copes with shocks from unavoidable circumstances while maintaining access to services for citizens and businesses is what determines its level of resilience. At the town level, green infrastructure refers to the patchwork of natural areas that provide habitat, flood protection, clean air and water, food, and recreation. At the local level, green infrastructure includes stormwater and drainage management systems that mimic nature by soaking and storing water to improve its quality. Green infrastructure complements civil engineering by including natural components and bioengineering methods. It emphasizes nature-based solutions and use of locally available resources and materials. Examples are green roofs and walls, hard and soft permeable surfaces, street furniture, urban forestry, open spaces such as parks, wetlands, and green drainage corridors. These types of provisions can absorb shocks during disasters and foster “safe failure” which is not irreversible and causes less harm to life and property. Green infrastructure also includes a wide range of technologies for adapting and complementing buildings and infrastructure (such as roads, irrigation systems, floodgates, and canals) to be more efficient in coping with floods, storms, and extreme heat. It covers natural water management systems, slope stabilization approaches, and energy conservation measures. In some cases, green infrastructure can even replace gray infrastructure entirely, as in the root bridges of Meghalaya. A proper balance of grey and green infrastructure is crucial to enhance the coping mechanisms and resilience of cities. This provides flexibility and diversity, enabling the city to function under a wide range of conditions. Policy makers at the national and local government levels need to recognize green infrastructure and green action plan implementation as a priority. In Chandigarh, for instance, Le Corbusier envisioned the Leisure Valley as a continuum of gardens tending the body and spirit of the city. 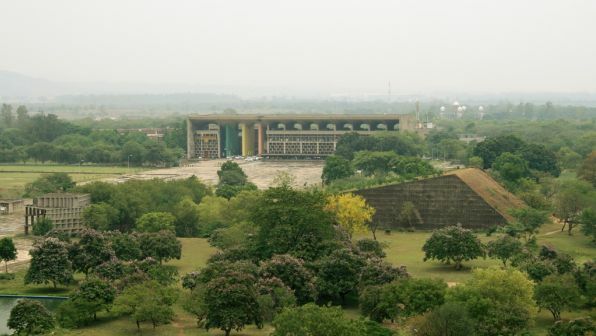 The eroded valley of a seasonal rivulet on the original site of the city was retained and sculpted into a 8-km linear park that traverses Chandigarh and is designated a no-build zone. There are similar examples in other cities in Asia and the Pacific. Melbourne, Australia has adopted an urban forest strategy to expand its canopy cover to 40 % of the city’s area. Singapore’s master plan emphasizes water management and greenery, collecting every drop of rain through a network of drains, stormwater collection ponds, and reservoirs. Chiang Rai in Thailand is promoting biodiversity conservation as a carbon sink and food supply. It’s time to push green infrastructure as the fabric that binds a town together, connecting people through parks, preserves, riparian areas, wetlands, lakes, streams, ponds, and more. This approach needs resourceful and responsive leadership to promote close collaboration between developers, local planners and communities. Finally, the value of traditional knowledge and community involvement cannot be underestimated. It is imperative to learn through both formal and informal processes, adapt from traditional and acquired knowledge, and to alter strategies based on past experience. If we want our cities to be livable, truly sustainable and resilient, green infrastructure needs to be the foundation for urban planning and development. Institutionalizing green infrastructure is the way to go. This article was first published on the Asian Development Blog. 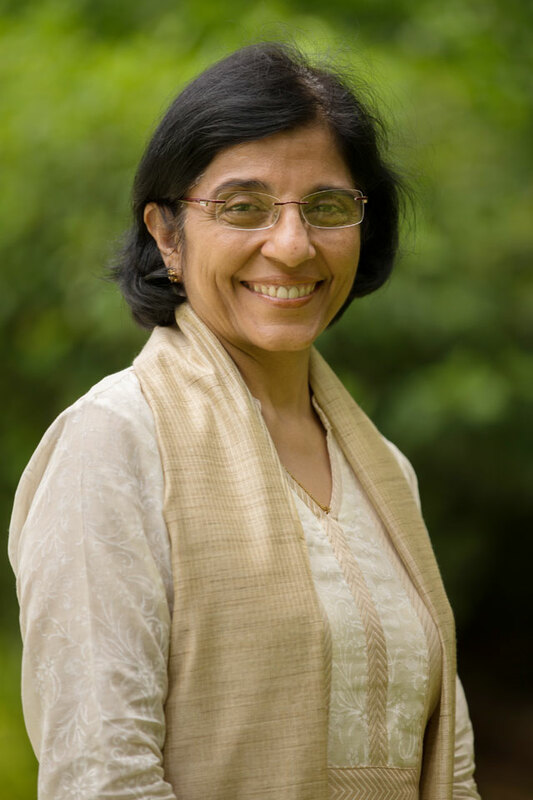 Sonia Chand Sandhu, an environment engineer and climate resilience and sustainable development specialist, is senior advisor to ADB’s Vice President for Knowledge Management and Sustainable Development.